We all thought that the testimony of BP CEO Tony Hayward or, more precisely, the creative ways lawmakers would find to pillory him, would provide the highlights of Thursday's House hearing at which the energy executive was the only witness. The hearing's not over as I write this, only in recess. 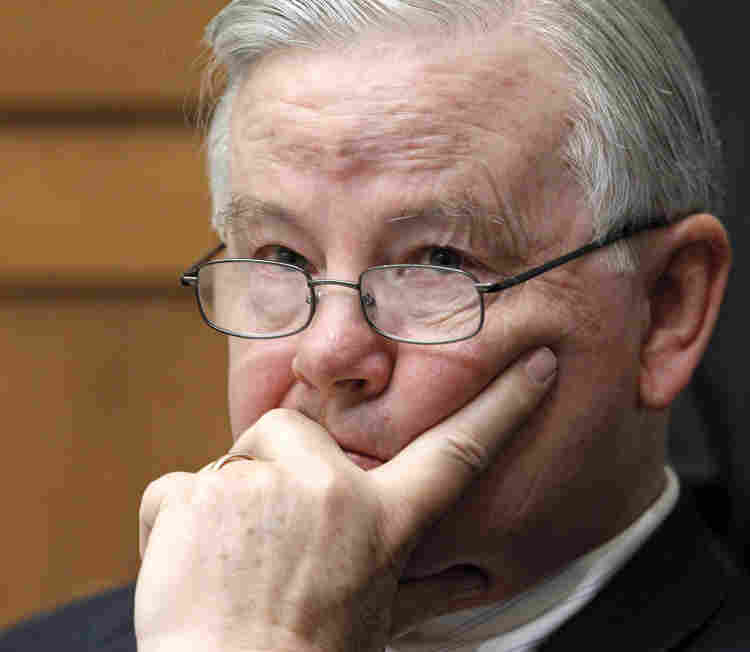 But one of the hearing's most memorable moments came early when Rep. Joe Barton (R-Texas) criticized the Obama Administration for wresting an agreement from BP to put $20 billion in an escrow account to compensate fishermen, restaurateurs and others in the Gulf region with direct economic losses from the BP oil disaster. Barton referred to the White House demand as a "shakedown" and the account as a "slush fund." Not only that. Barton actually apologized to BP. That either takes one very brave lawmaker or one very safe lawmaker in terms of not having to worry about re-election. And indeed, Barton won re-election in his district in 2008 by 26 percentage points. And he seemed to know what he was saying would be controversial because he stated right off the bat that his comment was his alone and should be imputed to no other Republican. I think it is a tragedy of the first proportion that a private corporation can be subjected to what I would characterize as a shakedown, in this case, a $20 billion shakedown, with the attorney general of the United States who is legitimately conducting a criminal investigation and has every right to do so to protect the interests of the American people, participating in what amounts to a $20 billion slush fund that's unprecedented in our nation's history, that's got no legal standing, and which sets, I think, a terrible precedent for the future. If I called you into my office and I had the subcommittee chairman, Mr. Stupak, with me who was legitimately conducting an oversight investigation on your company and said, if you put so many millions of dollars in a project in my congressional district, I could go to jail and should go to jail. Now, there is no question that British Petroleum owns this lease.There is no question that BP -- I'm sorry, it's not British Petroleum any more -- that BP made decisions that objective people think compromised safety. There's no question that BP is liable for the damages. But we have a due process system where we go through hearings, in some cases, court cases, litigation and determine what those damages are when those damages should be paid. So I'm only speaking for myself. I'm not speaking for anybody else, but I apologize. I do not want to live in a country where anytime a citizen or a corporation does something that is legitimately wrong, is subject to some sort of political pressure that is, again, in my words, amounts to a shakedown. Democrats jumped all over Barton's comment. And knowing how radioactive BP is, that it is perhaps the most reviled corporation in the U.S. currently, they tried to turn it into something of a litmus test for other Republicans. Would they stand with Barton and therefore appear to be standing by BP or would they stand with the "small people" as another BP official might put it? At the hearing, Rep. Ed Markey (D-Mass. ), who has been one of BP's most vocal critics, defended the $20 billion fund and expressed his disagreement with Barton, though in a fairly gentle fashion. I want to begin by disagreeing in the strongest possible terms with what Mr. Barton said in his opening statement. Not only is the compensation fund that was created yesterday at the White House an agreement reached between BP and President Obama not a slush fund and not a shakedown, rather it was the government of the United States working to protect the most vulnerable citizens that we have in our country right now -- the residents of the Gulf. It is BP's spill, but it is America's ocean, and it is American citizens who are being harmed. We cannot wait as, unfortunately, so many citizens who were victims of the Exxon Valdez spill had to wait years in order to see those families compensated. We can't lose sight of the fact that the 1984 Bhopal disaster andthe lawsuits that were related to it were only settled last week. Wehave to ensure that the citizens of the Gulf are protected. In a hearing which this subcommittee conducted in New Orleanslast Monday, we heard from a fisherman who brought absolutelyimpeccable records which proved that he and his family had made$27,000 last May. And after examining the documents, BP gave thefamily $5,000. The families in the Gulf will be crushed financially unless thiscompensation fund is put into place. As each day and week and monthgoes by, the history of these families are going to be altered, andpermanently altered, unless they are given the financial capacity totake care of their loved ones, their children, their families. That's why this compensation fund is so important. That's why itis not a slush fund. That is why it is not a shakedown. That's why this compensation fund is so important. That's why it is not a slush fund. That is why it is not a shakedown.